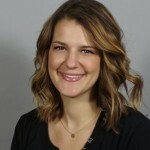 DRI Welcomes Alexa Milkovich as Healthcare IT Project Manager - Direct Recruiters Inc.
DRI is pleased to announce that Alexa Milkovich has joined our team as a Project Manager for the Healthcare IT practice. She works closely with Mike Silverstein, Managing Partner of Healthcare IT and Life Sciences. Alexa is helping to expand this practice area by acquiring top talent in order to fill crucial positions for startups, small, midsize and large companies. Alexa has prior experience with sales and startups and understands the value of forging long-term relationships and customer satisfaction. She also has an entrepreneurial spirit and is co-owner of BeMyDD (Be My Designated Driver). Alexa graduated from Kent State University with a BBA in Economics.She is proud to come from the Milkovich wrestling dynasty and is the mom of a possible future wrestler, 3 year old Braxton. Alexa enjoys cooking, golfing, yoga, hanging out with family, listening to music, and dancing with her Pitbull, AJ. To contact Alexa Milkovich: 440-991-1065 or amilkovich@directrecruiters.com.